April 24, 1990 – Space Shuttle DISCOVERY launches on the STS-31 mission, deploying the Edwin P. Hubble Space Telescope (HST) astronomical observatory. 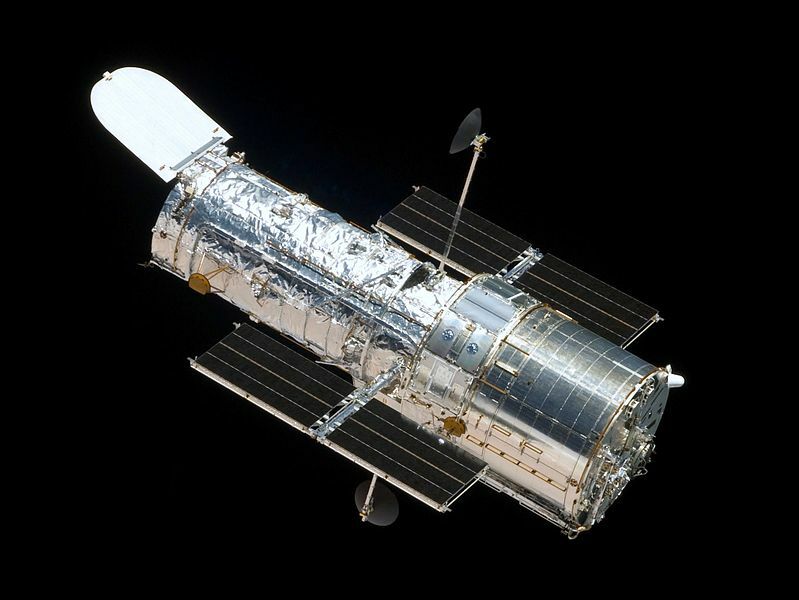 Hubble was placed into the correct orbit, but had operational problems that caused imaging troubles. Fortunately, the Hubble Space Telescope was designed to be serviced while in space by NASA astronauts. A total of five Space Shuttle missions visited and repaired the Hubble between 1993 and 2009. Hubble is expected to stay in service until 2014, when it may be replaced by the James Webb Space Telescope (JWST) (which as of this writing, is expected to be launched in 2018). 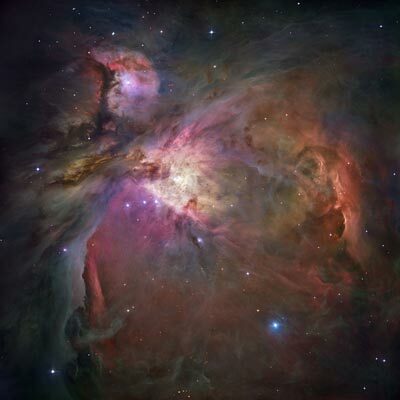 Hubble has looked deeper into the universe than any other telescope, and has produced some of the most magnificent pictures ever taken in space. April 23, 1967 – Soviet Union launches Soyuz 1 from the Baikonur Cosmodrome, carrying Cosmonaut Colonel Vladimir M. Komarov. The launch was the first time the Soyuz spacecraft was used, and that mission came on the heels of the American’s loss of the NASA Apollo 1 crew in the on-pad fire at Kennedy Space Center. The Soyuz 1 mission included a rendezvous with Soyuz 2 and a unique swapping of crew between the spacecraft before returning to Earth. The weather didn’t cooperate, and the Soyuz 2 launch was delayed. Soyuz 1 was experiencing technical difficulties on-orbit, and the mission controllers decided to about the Soyuz 1 mission after only 18 orbits. On April 24 Soyuz 1 reentered and crashed, killing the Cosmonaut Komarov. Tragically on this day in Space History, we remember the Soviet Space Program’s unwelcome “first” – the world’s first in-flight space tragedy. After redesign and rework, the Soyuz capsule eventually became one of the workhorses of the Space Race, and is still in use today. 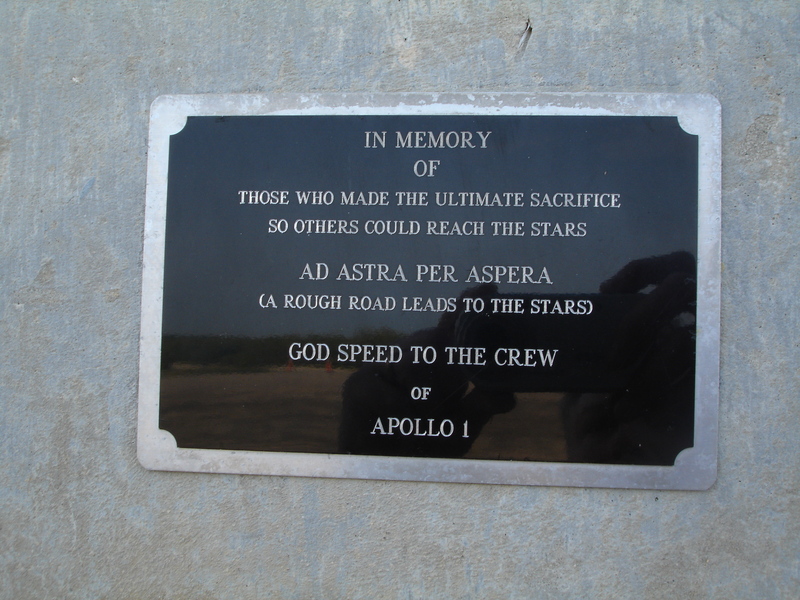 Ad Astra Per Aspera – It is a rough road that leads to the stars. April 12, 1981 – The Beginning of an Era. The first manned mission of the Space Transportation System (STS-1) COLUMBIA is launched from Pad 39A at Kennedy Space Center. The successful launch thrilled millions, and it was the first time a NASA spacecraft had a manned launch without first having an unmanned test flight. 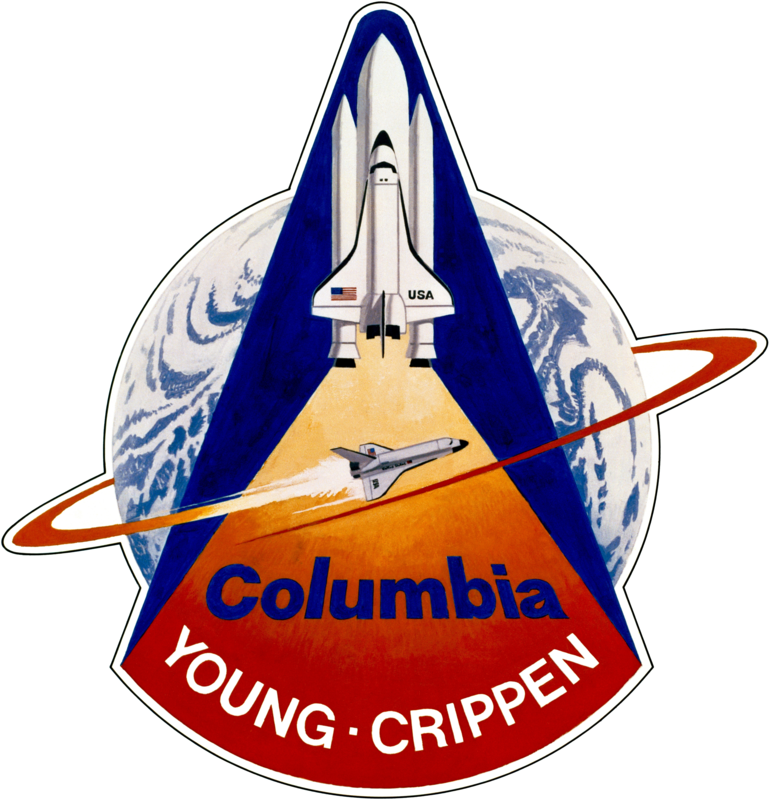 Aboard the Space Shuttle COLUMBIA were astronauts John Young (Gemini veteran and Moonwalker on Apollo 16) and Robert Crippen. 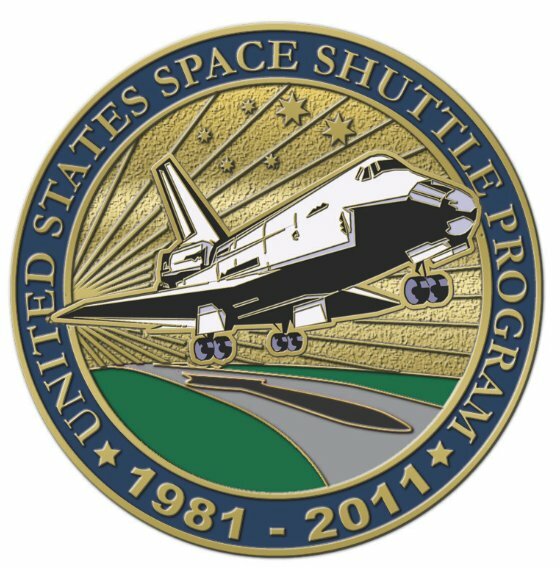 It was the first orbital mission of the Space Shuttle program, the first test flight of the program, and the first Shuttle manned mission. 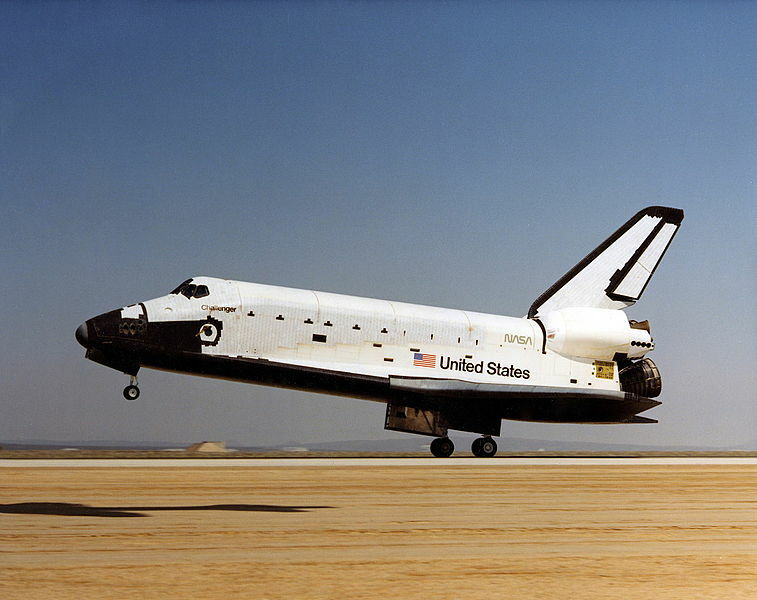 COLUMBIA would land at Edwards Air Force Base after being in orbit for 2 days and 6 hours. COLUMBIA was the first NASA manned spacecraft to use solid rocket motors (excluding the escape tower motors used in Mercury and Apollo). 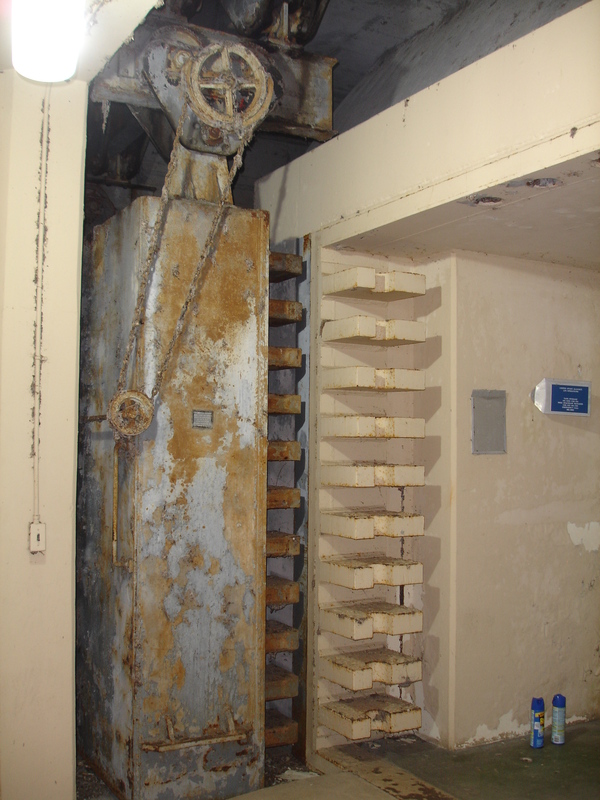 After COLUMBIA’s first flight, it spent a great deal of time in the Orbiter Proessing Facility, as many of the protective tiles of the Thermal Protection System (TPS) had been damaged or were missing, and needed to be replaced. Although COLUMBIA will probably be best known for the way the orbiter was lost, today we remember her first voyage. Metal from the orbiter COLUMBIA from that historic first flight was used in the making of the Space Shuttle Program Commemorative Coins. 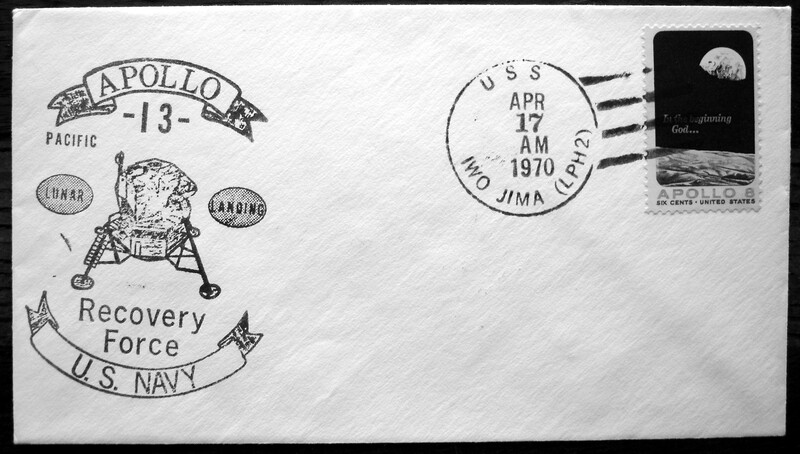 April 11, 1970 – Apollo 13 is launched from Kennedy Space Center with the crew of James A. Lovell, Jr. (CDR), John L. Swigert, Jr. (CMP) and Fred W. Haise, Jr. (LMP). The Moon landing mission was aborted during trans-lunar cruise to the Moon after an oxygen tank explosion in the Service Module. The world watched as the Moon landing was aborted, and the crew barely returned to Earth safely. John Aaron was part of Mission Control that was in charge of figuring out how to power up the Apollo 13 Command Module. The Command Module had been deliberately shut down after the explosion, but was required to be up and running to support re-entry. It was a challenging task because there was very little power available in the Command Module and it had to be managed carefully. CHALLENGER is perhaps best known for the way it was lost during its STS-51-L mission on January 28th, 1986. Having just passed MaxQ (point of maximum aerodynamic pressure), the orbiter was destroyed just 73 seconds after launch from pad 39A at Kennedy Space Center. It was the 25th Space Shuttle launch, and only the 10th mission for CHALLENGER. All seven aboard were killed. But on April 4, 1983 that Shuttle flew into orbit for the first time. On that first mission, CHALLENGER deployed a NASA Tracking and Data Relay (TDRS) satellite, and was the first mission to have a spacewalk during a Shuttle mission. In her short active duty CHALLENGER had many other firsts: CHALLENGER hosted the first American female in space (Sally Ride), and was the first Shuttle to carry a two-woman crew. CHALLENGER also became the first Shuttle to be launched at night, and the first to land at night. CHALLENGER hosted the first untethered spacewalk (Bruce McCandless flew the Manned Maneuvering Unit. McCandless was also CapCom when Armstrong took man’s first steps on the Moon). On February 11, 1984, CHALLENGER became the first Shuttle to land at the Kennedy Space Center runway. But today we remember CHALLENGER’s first flight, and we hope to remember the lessons learned from her loss. In just over a year we’ve had 10,000 hits. Readers have come looking for Leadership Lessons from the Space Race and for Space Race History. We also have great space photos (including pads at Kennedy Space Center as they appear today), and our difficult (but fun) Space Race Quizzes. Please Leave us a Comment! Thanks everyone for helping make this important milestone in this blog! Space Race Quiz ANSWER – How Many Astronauts have Flown on a Saturn V Rocket? This was the most challenging quiz yet. Even experienced students of space history seem to get this one wrong. Most people answer either 30 or 33. The surprising answer is 26! Remember that Apollo 1 (which never flew) and Apollo 7 were both Saturn 1B’s (not a Saturn V). Even if you correctly identify the Apollo 1 and Apollo 7 missions as non-Saturn V, the careful student of space history still has many opportunities to make mistakes in this calculation. 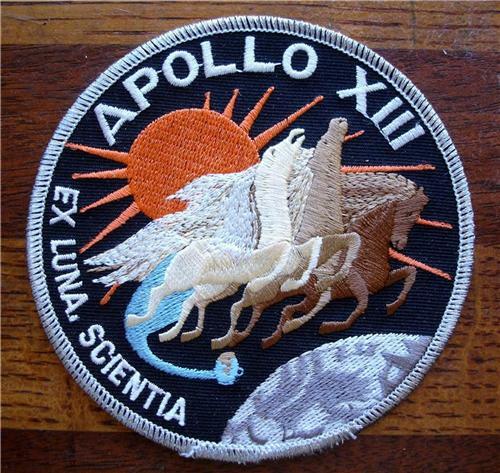 For example, many people forget that even though Apollo 9 was intended to checkout the LEM in low Earth orbit (and never went to the Moon), it was a Saturn V flight. Other people miscalculate because they forget to count Apollo 13 (again, it didn’t land on the Moon, but it was a Saturn V flight). 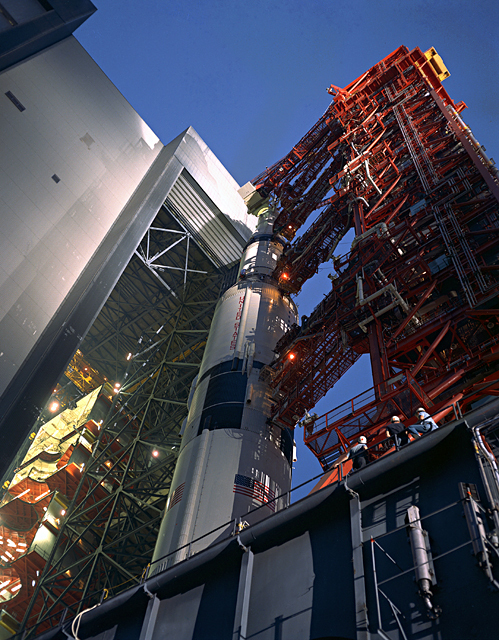 The Saturn V only launched from NASA’s Launch Complex 39 A and B at Kennedy Space Center. The Saturn V rocket was the workhorse of the Apollo program, with the power to take men and their machines from Launch Complex 39 at Kennedy Space Center to Earth orbit and to the Moon. Several manned Saturn V rockets flew, and our quiz today is the most difficult one yet. Do you know many astronauts have flown a Saturn V rocket into space? Check back in the next few days for the answer. The Gemini III mission was the first manned flight of the Gemini program. 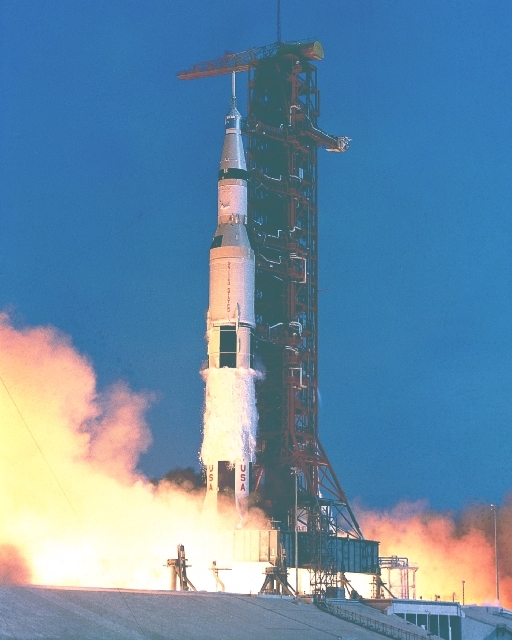 Astronauts Grissom and Young flew into orbit from Cape Canaveral’s Launch Complex 19 atop a Titan rocket in their Gemini capsule Molly Brown (“unsinkable,” a play on the fact that Grissom’s first spaceflight resulted in his Liberty Bell 7 Mercury capsule sinking). Extra-Vehicular Activity – Spacewalk. The suits that would protect human in the vacuum of space needed to be tested and proven before going to the Moon. Although the Gemini program would achieve all three of its objectives, today we remember the very first manned flight, Gemini 3. Grissom and Young would test out the new maneuverable Gemini capsule and its systems for a mere three orbits before returning to Earth. John Young would go on to fly aboard Apollo 10, walk on the Moon as commander of Apollo 16, and the commander of the first Space Shuttle mission. In 1967 Gus Grissom was the commander of the first Apollo mission, Apollo 1. 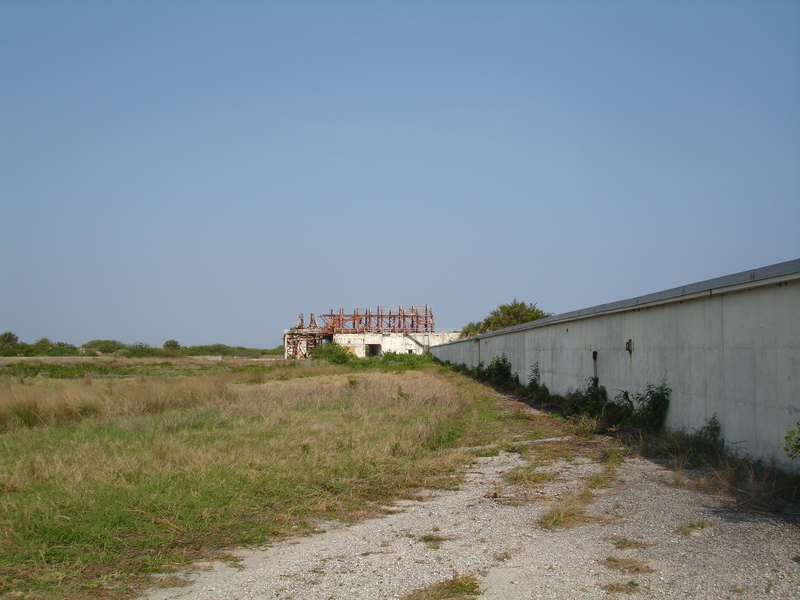 He died on-pad at Launch Complex 34 during a test of his Apollo 1 capsule. All three Astronauts (Grissom, Chaffee, and White) perished in the fire that day. Looking back on history we have the perspective of knowing how the Space Race all turned out. We know that the U.S. won the race to the Moon, and we did it within Kennedy’s deadline. 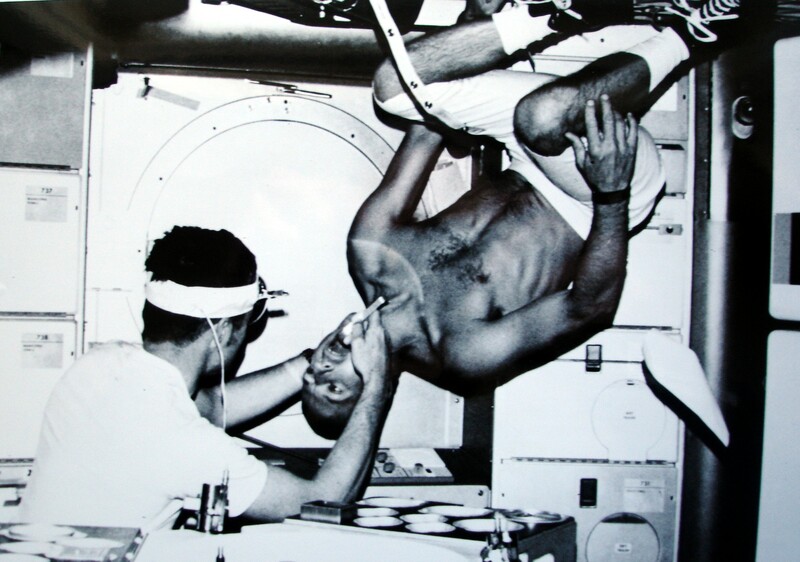 But at the time of the first spacewalk, things didn’t look so bright for the American Space Program. NASA was way behind, and it appeared by every measure that it would stay that way. The Soviets had already made many space “firsts:” The first artificial satellite (Sputnik), the first human in space, and the first human to orbit the Earth (Gagarin). 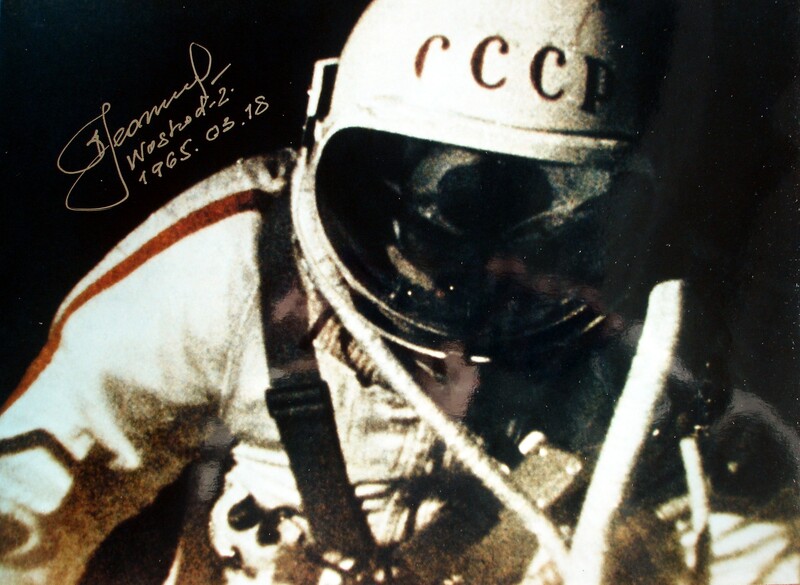 They even had the first woman in space (Valentina Tereshkova), and on March 18, 1965, Alexei Leonov added to the already impressive list of Soviet space accomplishments by becoming the first human to walk in space. At that moment in time I don’t think that the U.S. Space Program had even a single space “first.” In fact, it looked at that time like the Soviets were pulling away from the U.S. at an accelerated pace, leaving us in the dust. 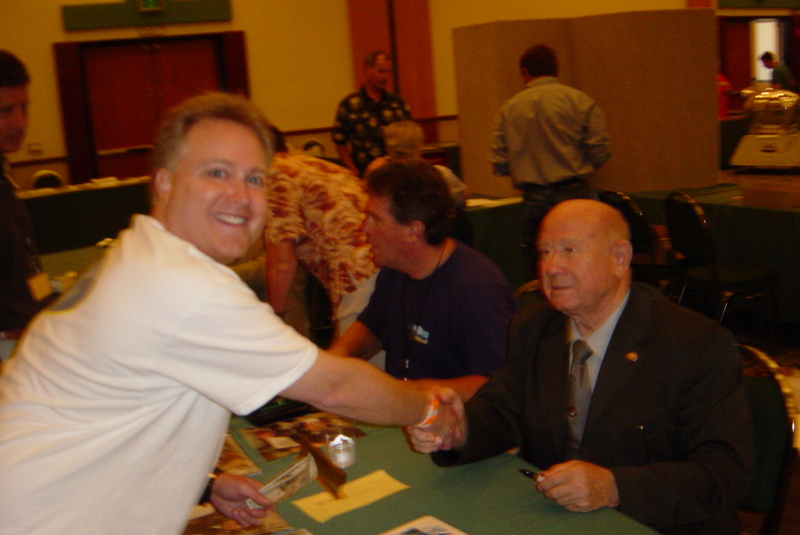 I got to meet Alexei Leonov (and got some of the items shown autographed in-person!). I asked him about that first spacewalk, and he explained that the Soviet spacewalk strategy involved an inflatable “double-door” airlock, so that the Cosmonaut that remained inside the spacecraft didn’t have to decompress (which the U.S. Astronauts had to do during the Gemini program, where both of the crew were exposed to the vacuum of space during their EVA). 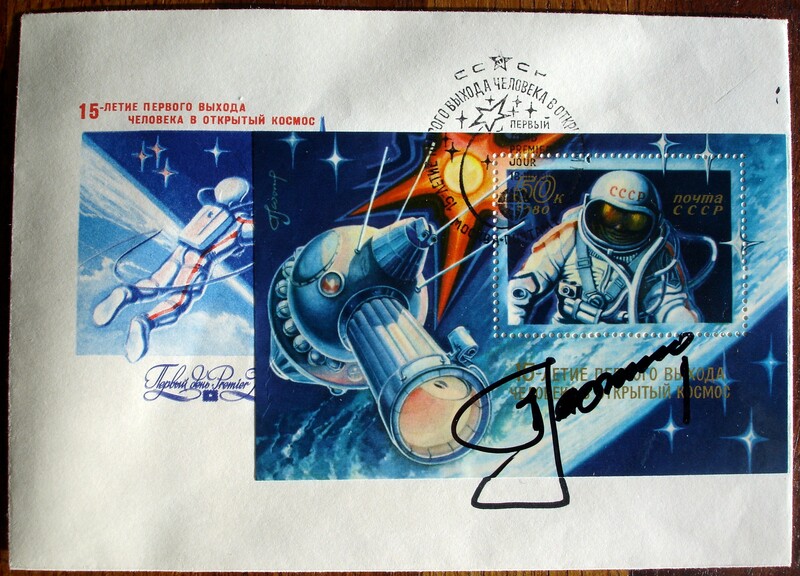 You can see the inflatable “tunnel” on the stamp artwork that Leonov created for that commemorative. So how did the U.S. respond to being in second place? Did we give up? Was it too much to compete with such a strong opponent who was so far ahead? No. We had set our sights on a goal – the Moon. We made a decision as a nation that we would make it by the end of the decade. And when we set our minds to it, there is nothing we couldn’t do. Within a year of Leonov’s spacewalk the U.S. had become the first to dock in space, and from there we never looked back. As I write this it’s March 2012. 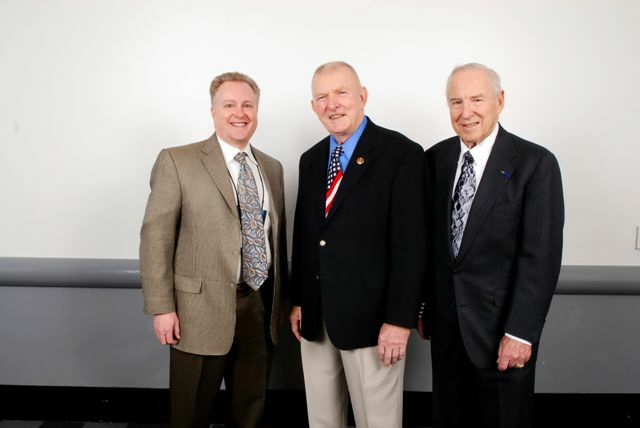 We just celebrated the 50th anniversary of John Glenn’s historic Mercury-Atlas 6 flight (our first manned orbital mission), and just last year we retired the Space Shuttles – our only method of putting people in space. 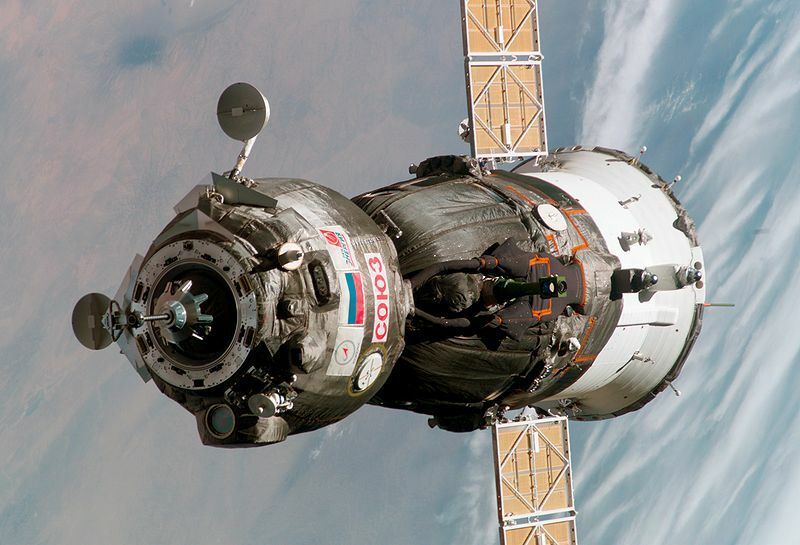 At this point we have to pay for rides to space – from the very Russians that we beat to the Moon. If you’ve read this far, please leave a comment and let me know if you think that we can regain that same spirit that overcame the impressive Soviet firsts, that allowed us to progress past the daunting Soviet accomplishments with new firsts of our own, and finally drove us to land the first humans on the Moon. Have we forgotten, and can we ever get that spirit back?